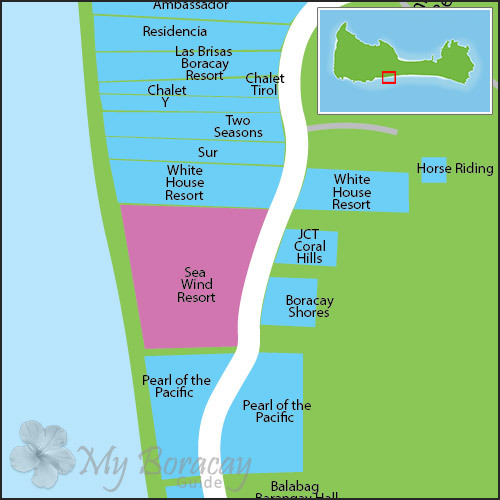 This is the North-Western section of White Beach that is home to some of the top Boracay hotels and resorts. 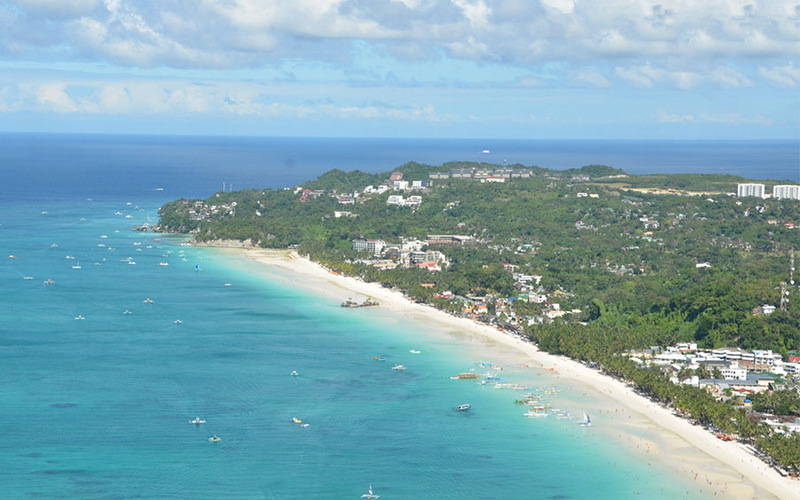 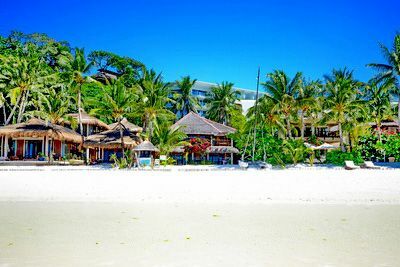 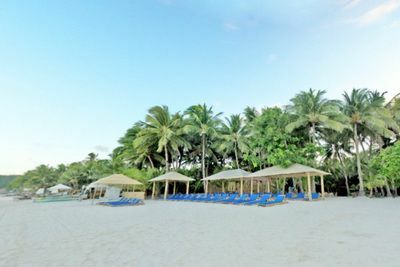 White Beach is at its widest, and it is considered to be to the upscale section of Boracay. 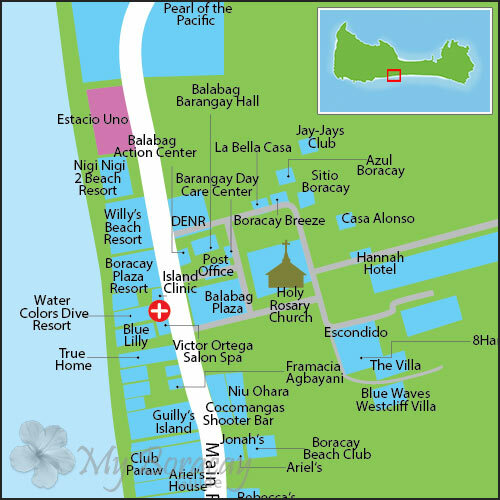 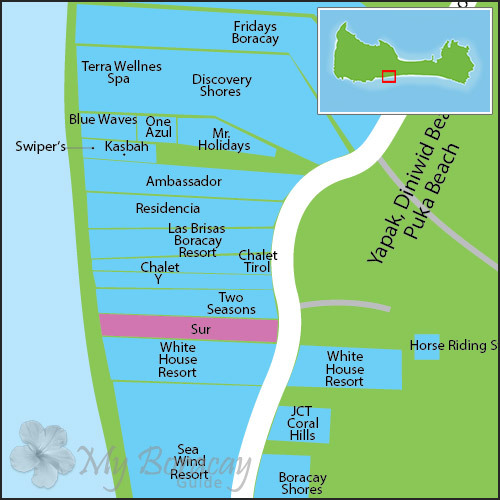 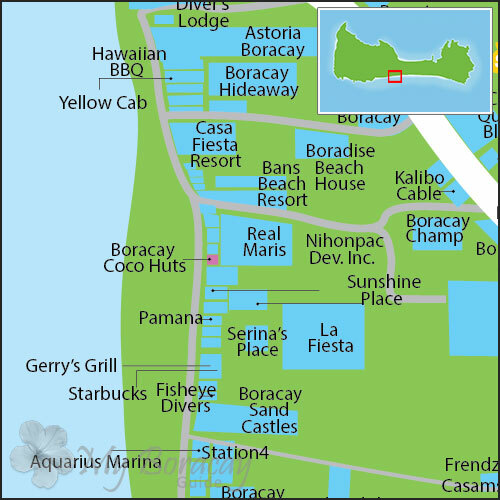 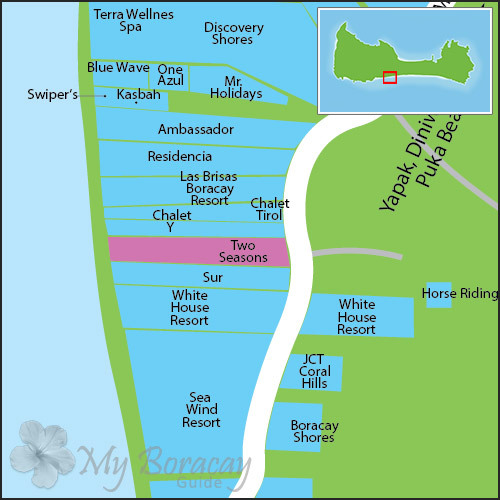 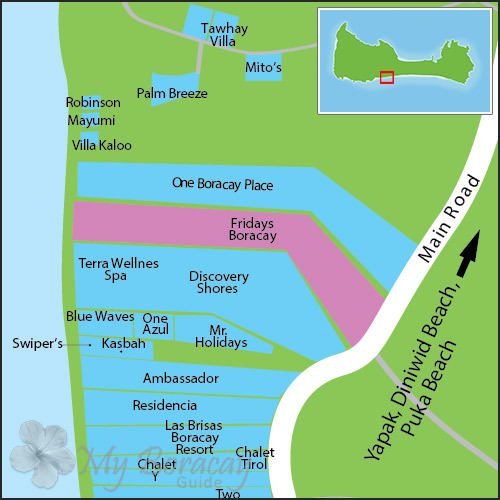 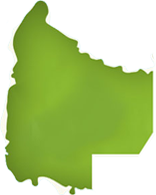 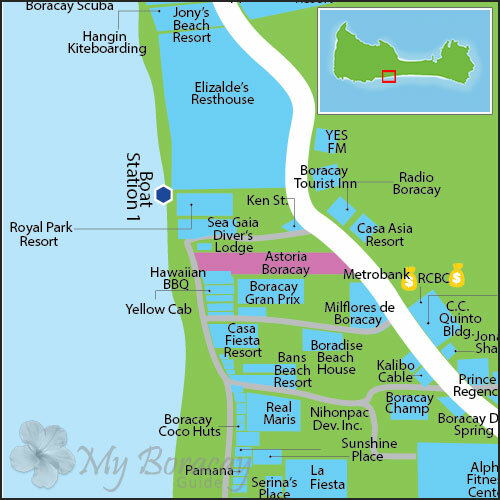 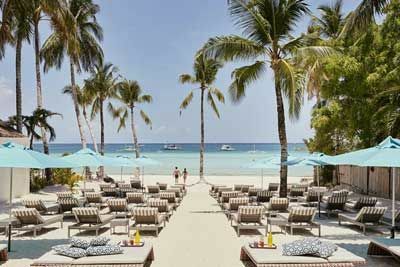 Almost all of these Boracay hotels and resorts are directly on the beach, and having most services on-site. 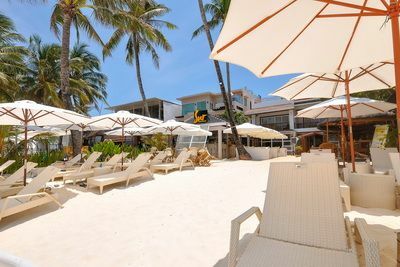 The footpath ends, and travel is by foot down the beach to get to central White Beach. 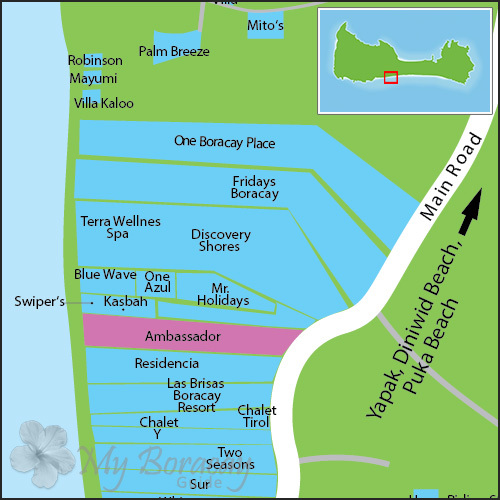 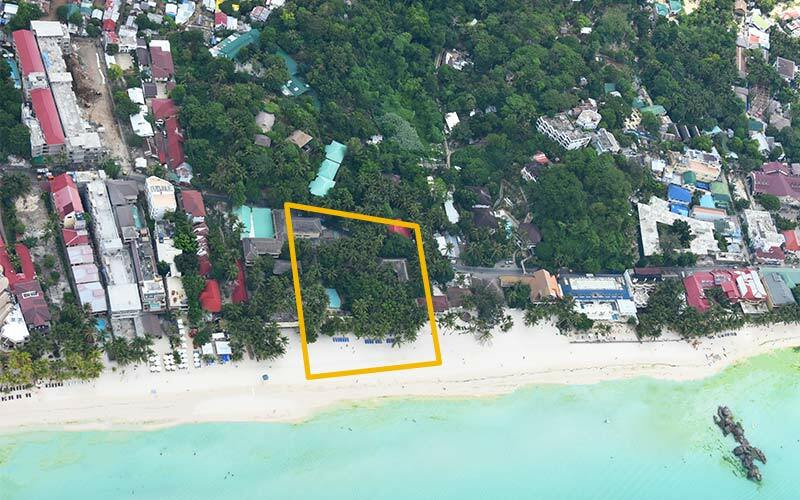 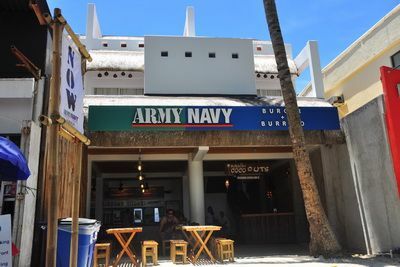 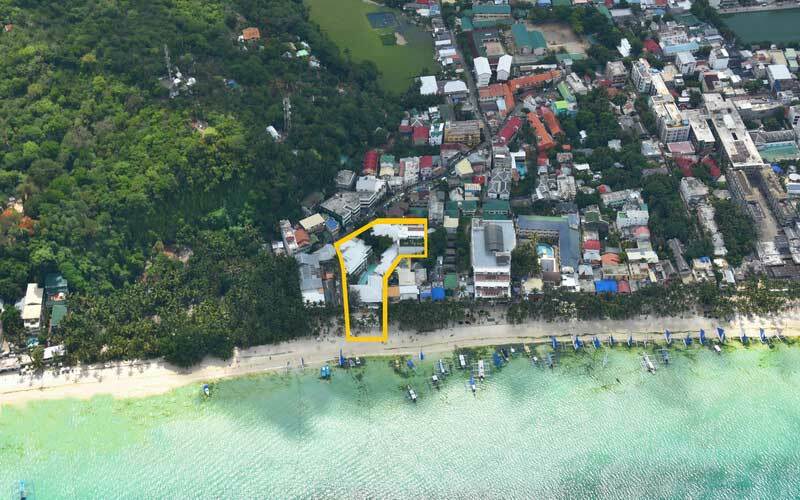 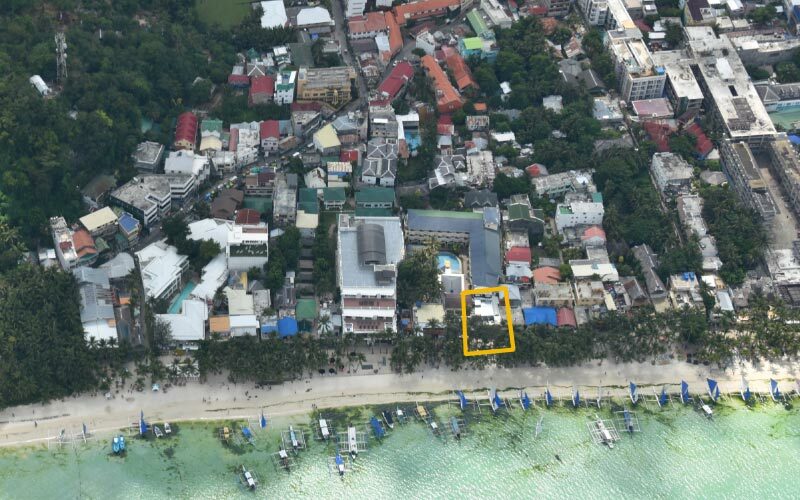 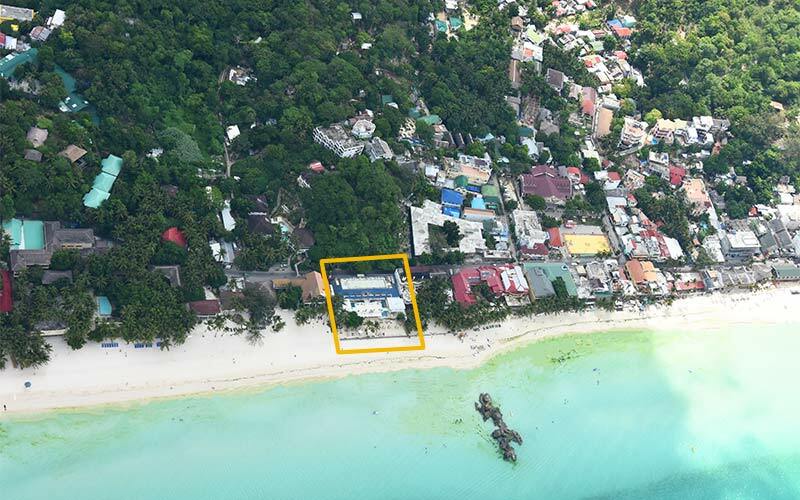 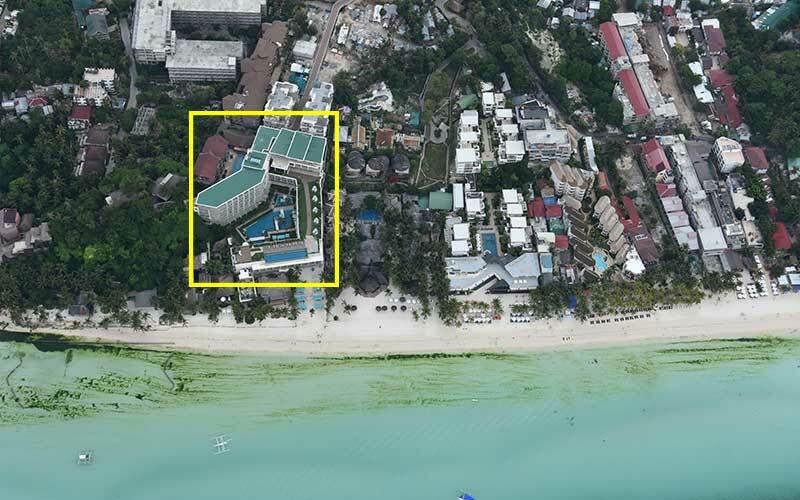 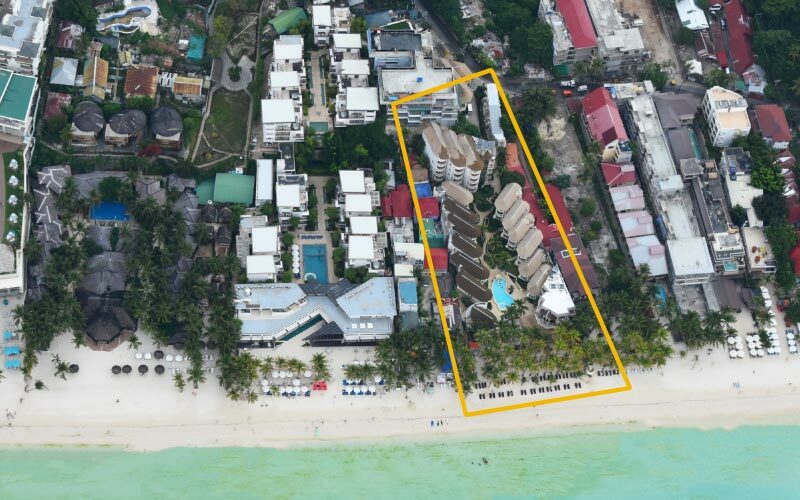 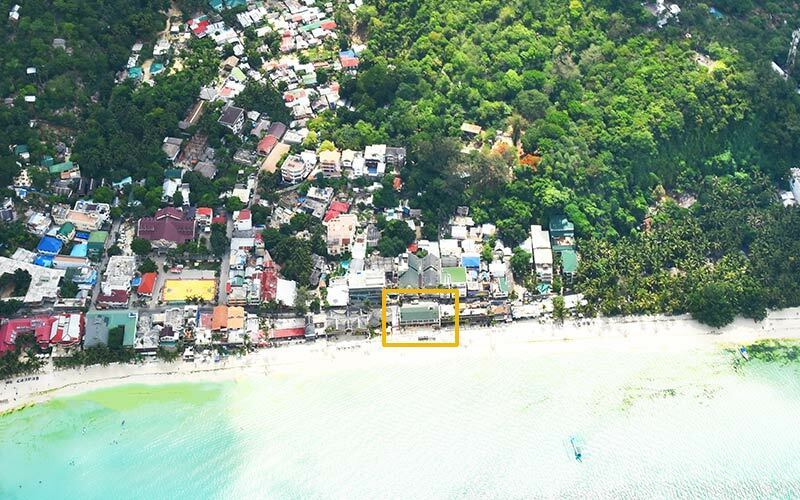 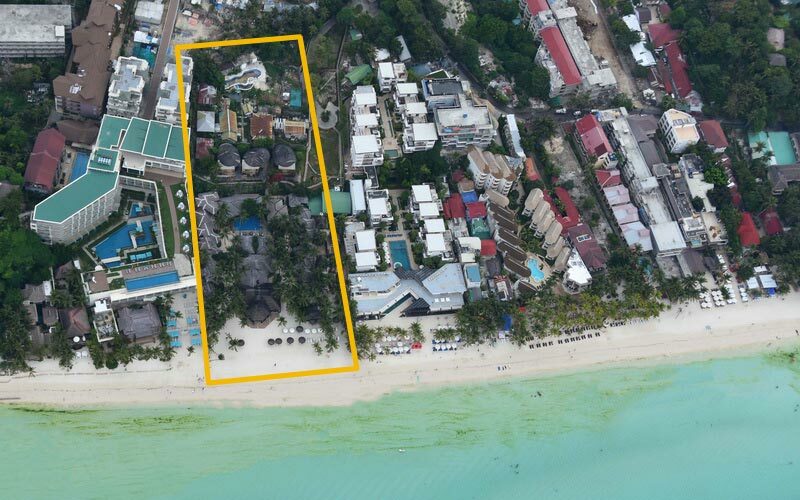 There is main road access at the rear of the hotels for convenient travel to other parts of Boracay Island. 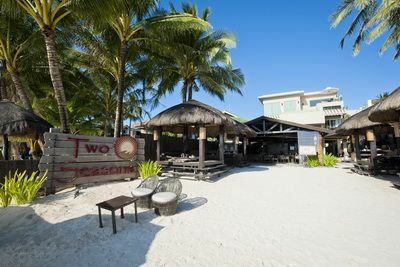 Newest contemporary resort with first class amenities. 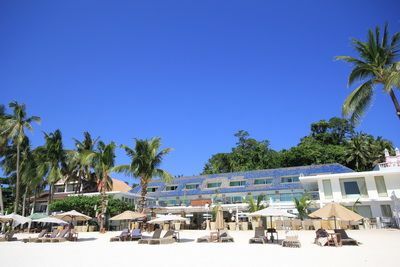 One of the most luxurious resorts in Boracay with amazing rooms and a great beachfront. 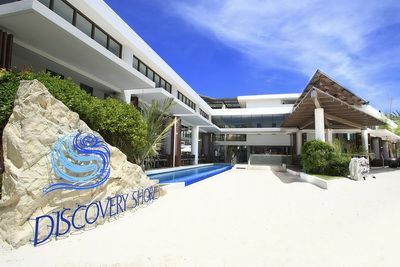 A truly distinctive resort, with a unique yet stylish design. 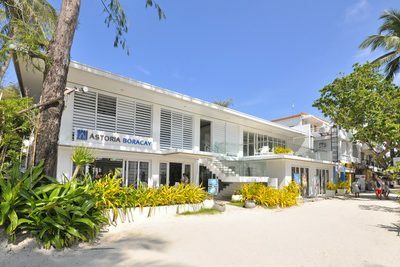 Fridays Boracay truly brings class and comfort to a different level. 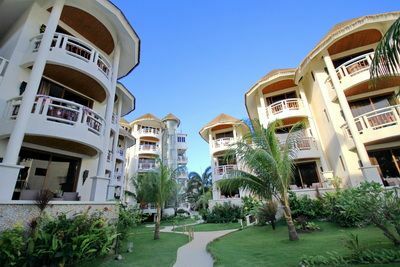 The clean lines and modern design showcase the elegant architecture of this resort. 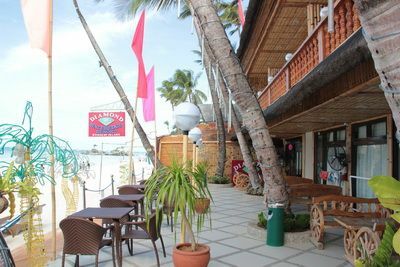 Laid back and relaxing, feel the spirit of old Boracay at Sea Wind Boracay. 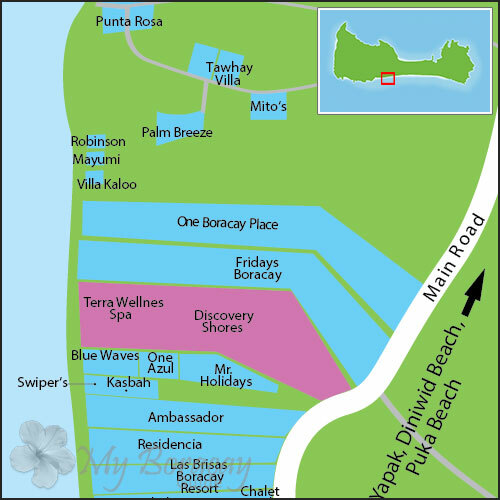 A mix of tropical urban and Zen minimalist, your stay will be as lovely as the resort. 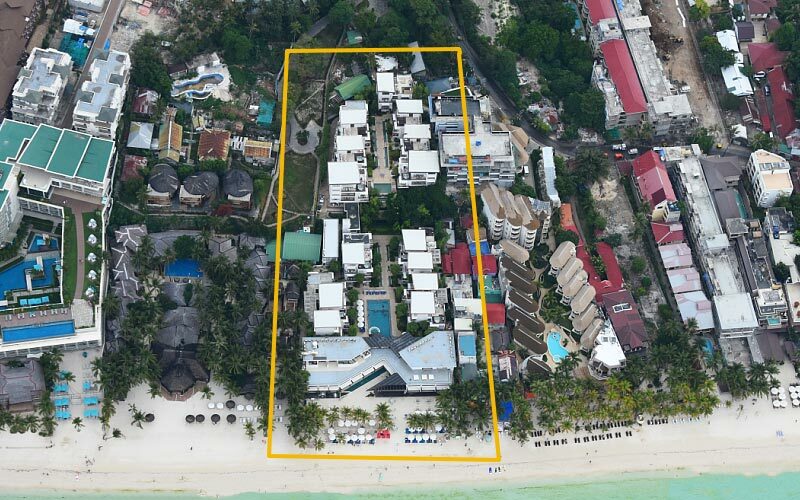 Modern design and comfort with remarkable views of the sea. 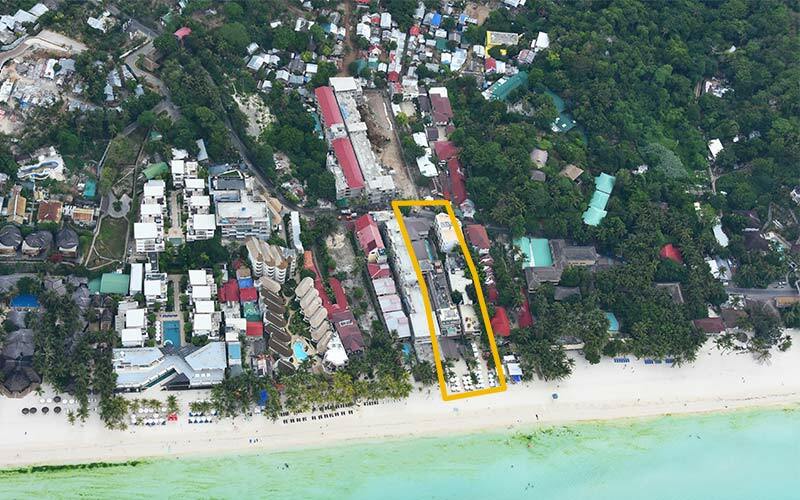 All the rooms in this appealing resort have amazing views of the sea. 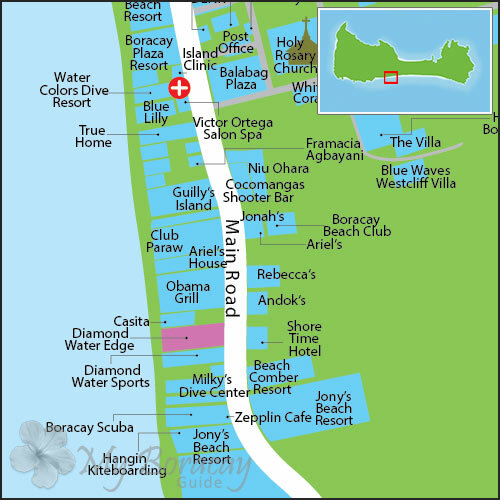 This well designed resort is a favorite of regular Boracay visitors.